A new Center for Excellence in Diversity and Inclusion and an additional $50 million to promote diversity, inclusion and equity campuswide will augment University of Southern California efforts to broaden and deepen cultural diversity at the 47,500-student school. 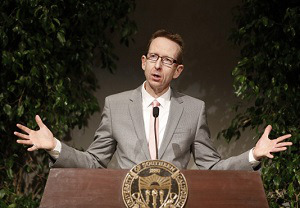 USC Provost Dr. Michael W. Quick announced the initiatives Thursday in a memo emailed to faculty. He said his office will work with each school in a dollar-to-dollar match as they access the $50 million for tenure-track faculty recruitment and retention. Additionally, the funds will support pipeline programs for the transition of postdoctoral fellows to USC faculty positions. Meanwhile, Quick said, the new center will serve as the focal point for those endeavors and development of related institutional initiatives. USC has been one of higher education’s leaders in terms of extolling the value of diversity and following the words with concrete actions. The initiatives announced this week will add to a growing list of more than a dozen innovative programs and practices at USC, including an annual Diversity, Equity and Inclusion Awareness Week, diversity and inclusion research awards, a Campus Climate Committee and the nationally renowned USC Race and Equity Center. In terms of spending the new $50-million pot, Quick said, he expects it to allocate $10 million each year over five years with half coming from his office and half from the university’s 21 schools and academic units. 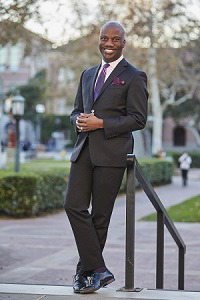 Dr. Shaun R. Harper, executive director of the USC Race and Equity Center and one of the university’s 17 Provost Professors, is optimistic about the new initiatives. Quick recruited Harper away from the University of Pennsylvania last year, and Harper has become one of his most trusted advisers on matters of diversity, inclusion and equity. Although Harper may seem a prime candidate to head the new center, he said he intends to continue the Race and Equity Center’s multipronged work while complementing and collaborating with the new center. Harper added that the new efforts illustrate Quick’s commitment to excellence in higher education through diversity. The new initiatives should signal that diversity is and will remain a high priority at USC, Quick told Diverse.